A slum in Brazil. 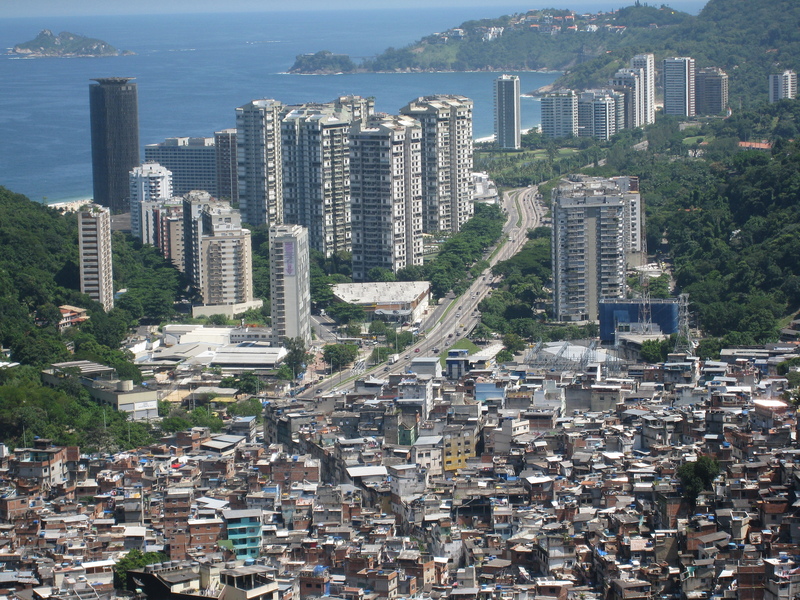 Rocinha favela is next to skyscrapers and wealthier parts of the city, a location that provides jobs and easy commute to those who live in the slums. According to UN-HABITAT, there were 863 million people living in slums in 2012 and that number has been increasing rapidly. Now, we all understand that 863 million is a pretty big number, but the human brain is actually not that good at understanding large numbers. We’ve all seen 2 bananas, 20 students, or 50 marbles in a bowl so it’s easy to understand those smaller numbers but have you ever seen 10,000 of something? Maybe you can picture 10,000 people in a sports arena but it’s still a difficult number to understand. Do you think you have a pretty good idea of what 10,000 marbles look like? I’m going to quickly demonstrate just how big a number 863 million is. Slums result from poor urban planning and the rapid migration of people towards urban centers–most people come in search of jobs, better lives, or to escape violent conflicts. Often, the formal process for providing housing and infrastructure simply can not keep pace with the number of people moving in. By 2030, about 3 billion people, or about 40 per cent of the world’s population, will need proper housing and access to basic infrastructure and services such as water and sanitation systems. This translates into the need to complete 96,150 housing units per day with serviced and documented land from now till 2030. Typical top-down planning and construction processes can never deliver at that rate which is why we need to focus on bottom-up solutions. That is, inhabitants of slums must be able to design their own solutions rather than relying on the expertise of a select few individuals. Architects and planners have been working to enable bottom-up solutions with new models of practice such as Community-Based Program Design and Participatory Planning. Each of these terms describes a problem solving process in which design experts collaborate directly with community leaders to identify resources, needs, and concerns that are specific to the community they intend to improve. They also educate the community so they can create their own solutions. With some additional education and help, slum inhabitants may be able to solve their housing problems much more easily. Read more about UN-HABITAT and their work here. If you’d like to learn more about what you can do to help, check out Urban Poor Fund International and Shelter the World, two non-profit organizations working towards empowering slum dwellers. Please feel free to leave comments or questions below and share as you see fit. The location of the 30 largest contiguous slums in the world. The numbers show population in millions per slum, the initials are derived from city name. 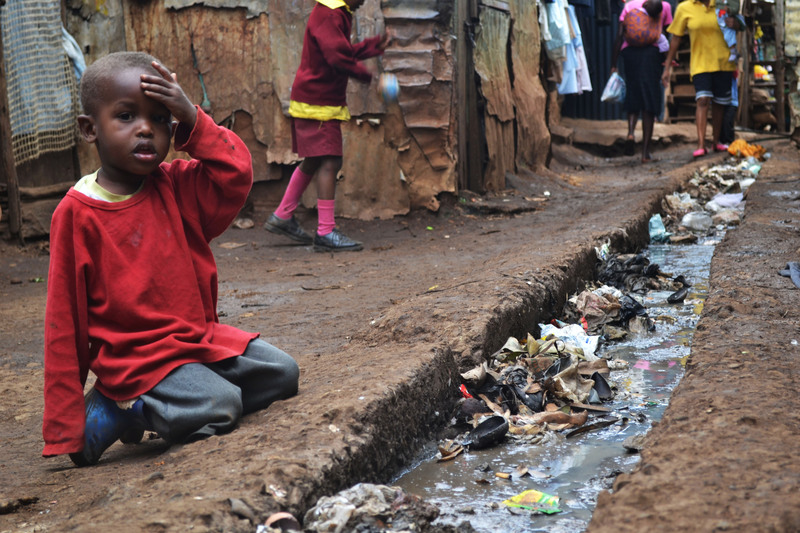 Some of the largest slums of the world are in areas of political or social conflicts.